Here are the DSTV Contacts if you need to contact DSTV to reset errors or inquire about bill payments, or other issues. Don’t forget that you can pay your DSTV bill using your phone whether through Mpesa, Equitel or Airtel Money. This post will give you the paybill numbers. If you would like to contact a DSTV installer or dealer in Nairobi, below are their contacts. Hey Gotv, I just subscribed for Gotv plus, but my subriction ain't activated for Gotv plus but rather the lower one. How do I contact and talk to a customer care directly. Help to upgrade to Gotv plus please. You can contact them through one of these contacts. I have never had any success with the phone numbers, but the social media accounts like facebook and twitter are just as effective. You will be sorted in no time. Good luck. James, what is your account number. Kindly help reverse a transaction that went to your customer care line 0711066555. It was meant to pay for payment of a package. Hey Dennis, I think the best thing would be to contact DSTV directly since they'll need the payment and other of your details. Hey Jaymostrecently, kindly visit Superwave Aerials,Komarock,opposite Nyama Villa Pub -0722-616504 for assistance. how do i pay for my dstv via mpesa? Hello.I paid for the dstv access subscription two days ago and until now it hasn't been activated. What's the problem? How do not air at least one UEFA Match on compact plus. I have been a long time defender and customer but I am now giving up. I think we go Nigerian way. I downgraded my DSTV package from compact to access then paid yesterday but there is only one channel..when will activation be done?account number:41844050-kenya. 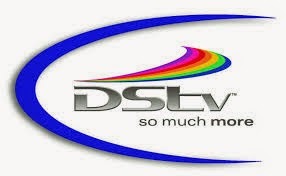 Hi I paid for DSTV yesterday as it was expiring today. Apparently am offline. This is not the first time this is happening. What's up with your systems? Please can someone assist us???? Been trying to clear the E16 error by sending a message to 22688 but every time i do so they simply say my device cannot be cleared! What am i supposed to do? My IUC no is 2014231855 under the name Susan Maina. last month i paid gotv to the wrong account and it was corrected, but they did a transfer to my account, an yet to receive a confirmation from you coz my bill is due. My TV is not working I paid 1,200 iuc number 2017838917 what may be the problem claiming I clear error still not working????! Discovery family which is channel 50 has changed drastically in terms of it's content. Most of those documentaries that covered certain subjects and were interesting are no longer there….Like those on navy seals training- Meeting the cut. I think you have watered down the content of that channel even after increasing the monthly payment to Ksh 920. Please am trying to contact you via both your contacts. Not going through.. I have lost all my channels except dish 😏and can't seem to get through to customer care.. So frustrating! What's going on? HOW DO YOU HOLD SOMEONE FOR 50 MINS…. Guys i paid for my Gotv subscription in the morning….up to this hour i havent been reconnected….whats happening…. KHB2FTHCMM Confirmed. Ksh1,000.00 sent to GO TV for account 2017751725 on 11/8/16 at 1:49 PM New M-PESA balance is Ksh5,154.15. Hakikisha! To stop any wrong transaction type 1 and send. HI MY NAME IS TITO,I PAID FOR MY GO TV AND TILL NOW IS DEACTIVATED, IS THERE ANY NO ONE CAN REACH YOUR CUSTOMER CARE? Dstv services are so frustrating. It takes you ages to get to them through phone. Forthe last two days in have been trying to call and all I get is a line that is open and consuming my credit and yet no answer. It appears this is a company that is just bent on fleecing and irritating its customers. To inquire a simple issue will cost you dearly. My account 10294683411 have been trying to change to premium Asian since 23rd Nov 2016. Reference number is 2693431. I paid for my monthly subscription via mpesa, unfortunately when I called Multichoice the woman who received my call was very rude! That has prompted me to seek alternative such services provider. I was paying for my DSTv subscription via mpesa No. 0722984889 unfortunately I keyed in one wrong digit for my account, when I call the office, the woman on the other side was not helpful at all,the way she spoke is as if she was extending her domestic war to me. Am a Gotv client IUC 2016004156.I paid the monthly subscription at 12noon on Wednesday expecting immediate reconnection. I talked to two courteous individuals who promised immediate reconnection.it is now 21.26 am still waiting. Kindly reconnect me immediately. I feel cheated. IUC 2016004156.am still waiting for reconnection after payment at 12.30 on Wednesday. This despite being promised twice that I would be reconnected in due course. I feel cheated. Dear DSTV. yesterday i called your office four times from Prime Bank Ltd requesting you to send a technical person to come check the DSTV because the signal was showing 0%. No response from you. today i called again twice and haven't heard from you. This shows poor customer service from your end. I called your office 7 times yesterday and today from Prime Bank Ltd so that you would send your technical team to come check the signal because the TV has not been working and haven't got any response from you. Kindly advice why??? Hi, I need proforma invoices for A/C 36915209,36915808 and 36916400 to enable processing the payment for annual subscription. 0722774951. What do I do if my decoder is not powering on and the adaptor is okay? Please, i made my monthly payment yet im still disconnected. decoder is 2015968889, phone number is 0727003204. your lines arent going through. this is frustrating! My DSTV has been disconnected for a long time. How do I re-activate it, how much am I supposed to pay to be re-connected. My DSTV has been disconnected for a long time and I need to reconnect. Kindly direct me on how to reconnect. How much am I supposed to pay? I moved to a new house and after reconnecting my dish,it only worked for three days and now it keeps displaying "searching for signal" number of bouquets is 0, public operators 0. What could be the problem and possible remedy? I made payment for my dstv smartcard number 10208061175 but my account still reads "suspended"; zero. Your customer care line is disconnecting me sayin I should pay…I didn't even get to talk to any customer care agent.